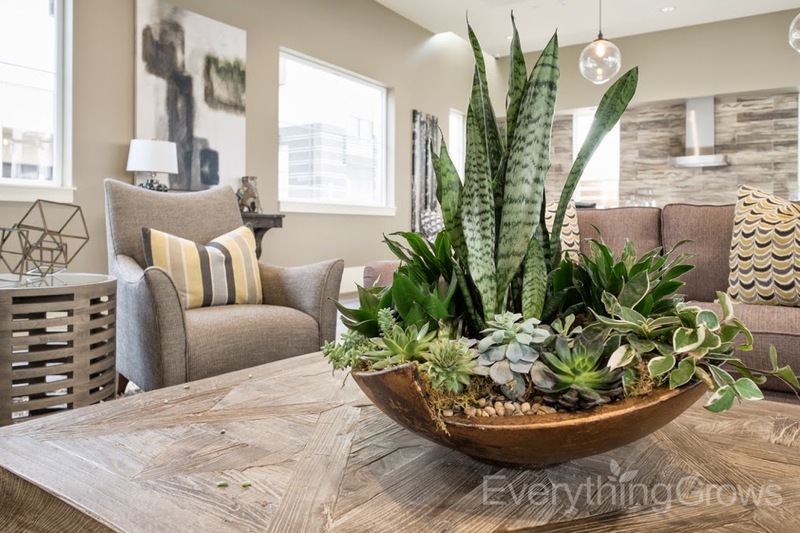 Recently we have had the privilege to accompany some very skilled interior designers adding beautiful live plant arrangements to their model home communities. 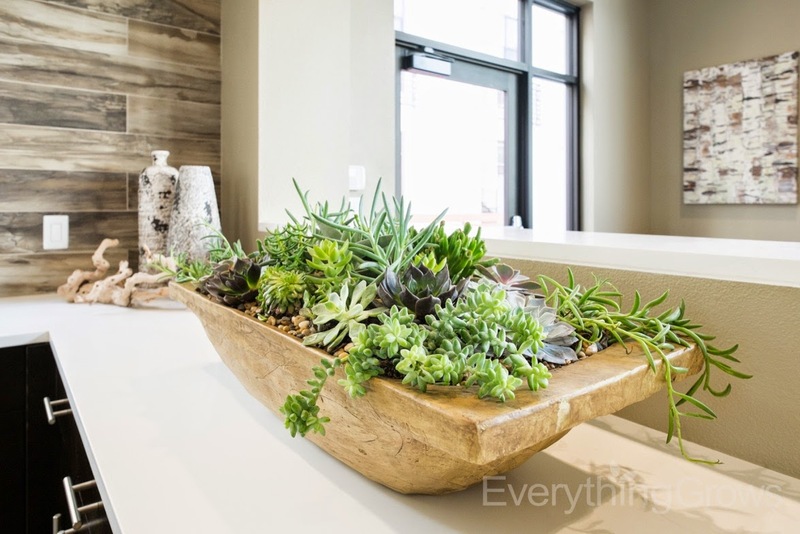 The decision to use live plant arrangements in model homes in place of the traditional artificial plants has been a growing new trend. 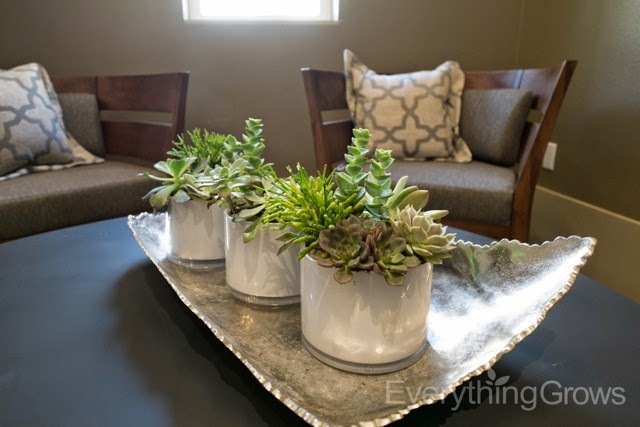 Obviously, people are catching on to the benefits of live plants! 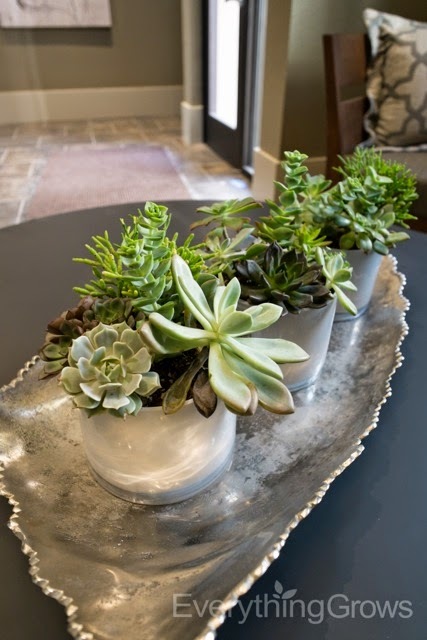 This designer chose to go with the opulent succulent look. This is one of our favorites to work with because there are so many options and the finished product is always stunning! They will do nicely in this brightly lighted space. 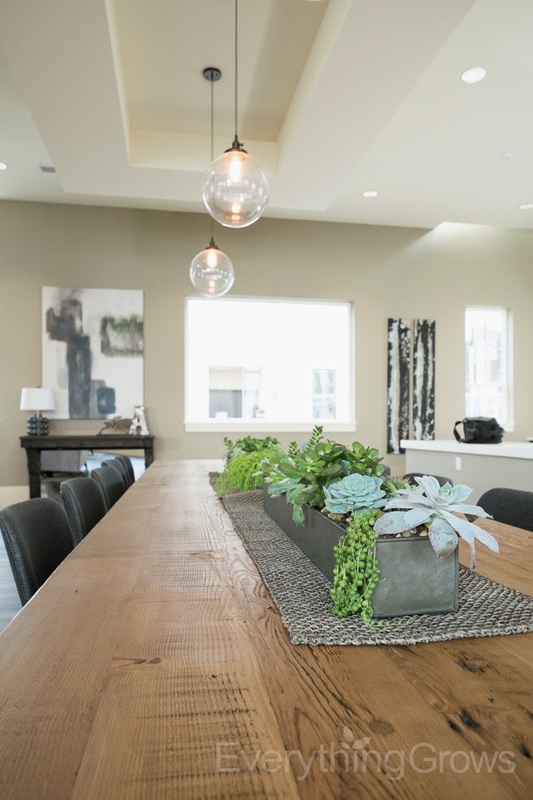 This particular community is located in Menlo Park, CA but recently we have assisted many model home designers with their communities around the greater Bay Area. 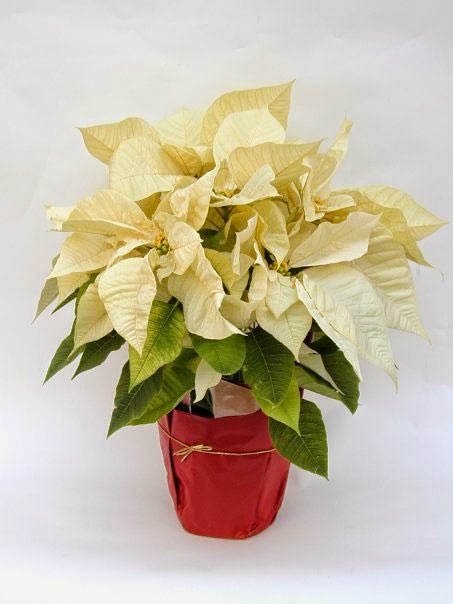 The poinsettia (Euphorbia pulcherrima) is a culturally and commercially an important plant species of the diverse spurge family that is indigenous to Mexico and Central America. 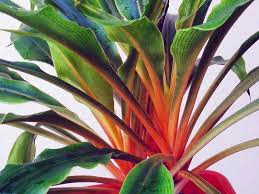 It derives its common English name from Joel Roberts Poinsett, the first United States Minister to Mexico, who introduced the plant into the United States in 1825. After supplying his own greenhouses, Poinsett also distributed plants to various botanical gardens and to some horticultural friends, including John Bartram of Philadelphia. 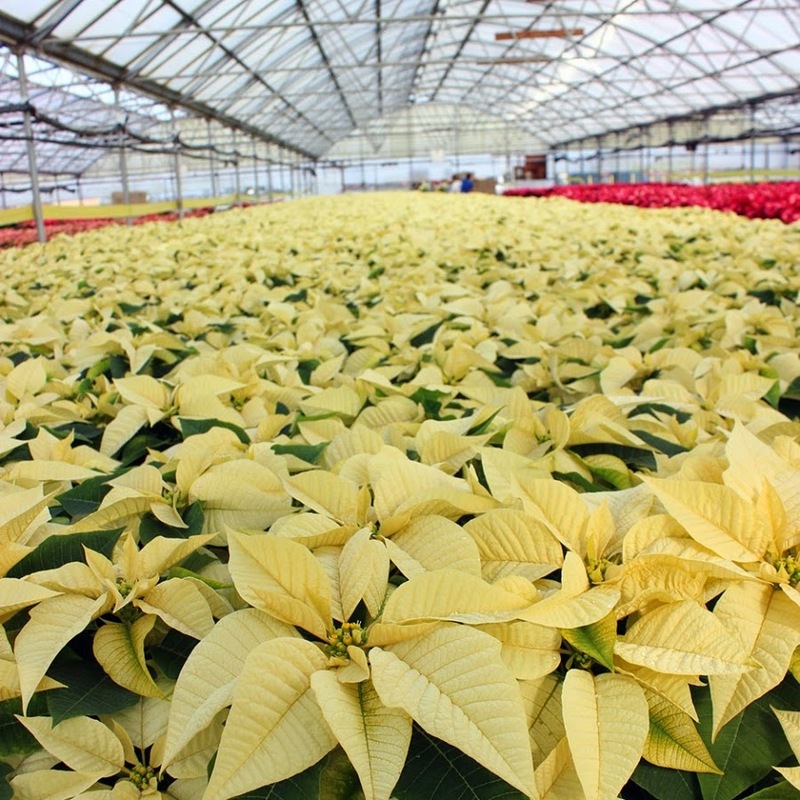 Bartram, in turn, supplied the plant to Robert Buist, a nurseryman, who first sold the plant as Euphorbia poinsettia. The botanical name had already been given by a German taxonomist in 1833 as Euphorbia pulcherima. 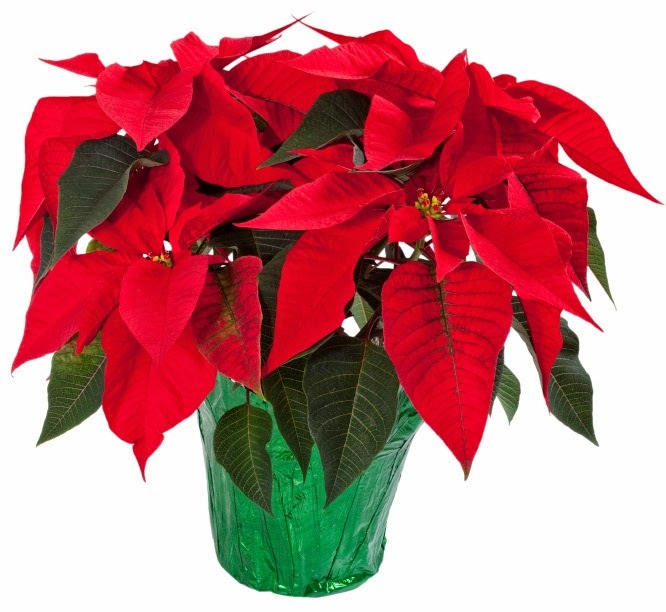 The poinsettia, however, has remained the accepted name in English speaking countries. 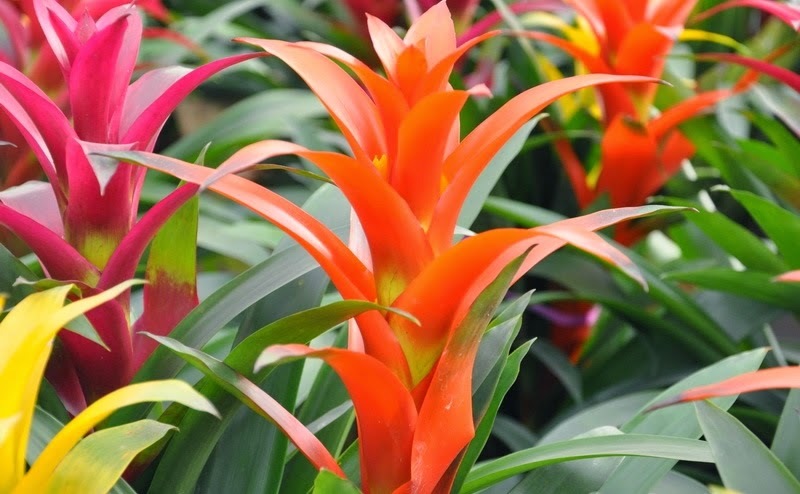 Before the winter bug gets you, here are some beautiful interior plants that add a vibrant splash of autumn color to brighten up the onset of dark evenings and your Thanksgiving festivities! 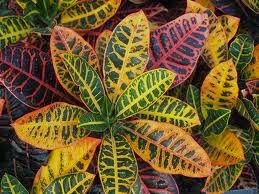 Crotron Petra - An exotic looking plant that is sure to be an attention grabber with it's array of yellow, green, copper, red, pink, orange, brown, and ivory leaves. Bromeliad - Blooming in a variety of colors, this plant is the perfect addition to everyday interior landscape or as an addition to any holiday decor. 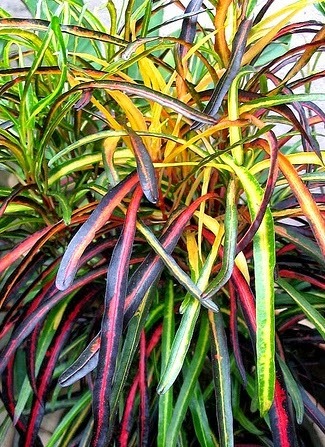 Croton Picasso's Paintbrush - A striking accent plant with a mix of yellow, bronze, green, and burgundy foilage. Chlorophytum orchidastrum "Fire Flash" - Fairly new to the plant world, this unusual plant with it's glossy green leaves atop the glowing orange hued stems is becoming quite popular. 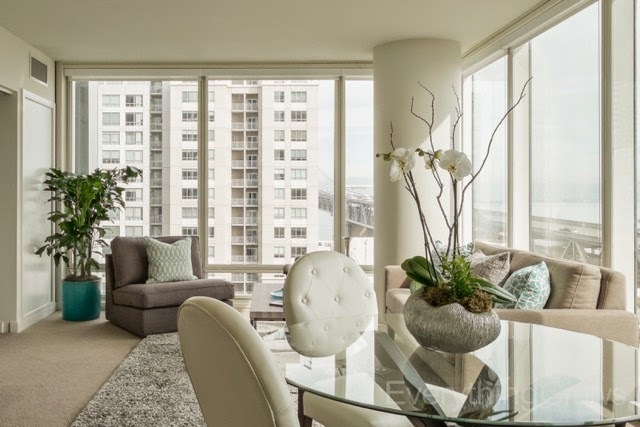 These stunning model apartments are in a class by themselves. 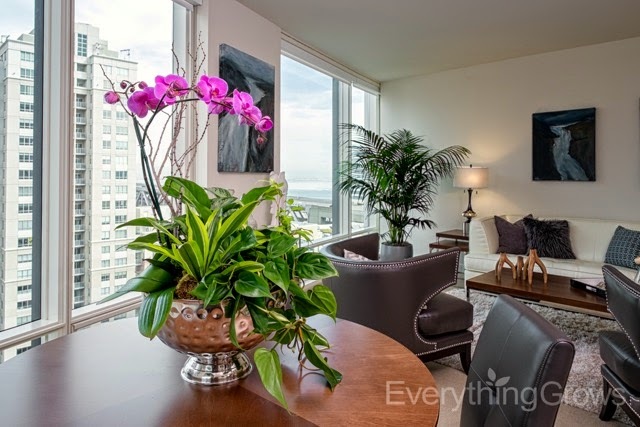 It was a pleasure adding beautiful interior plants to polish off the attractive look. 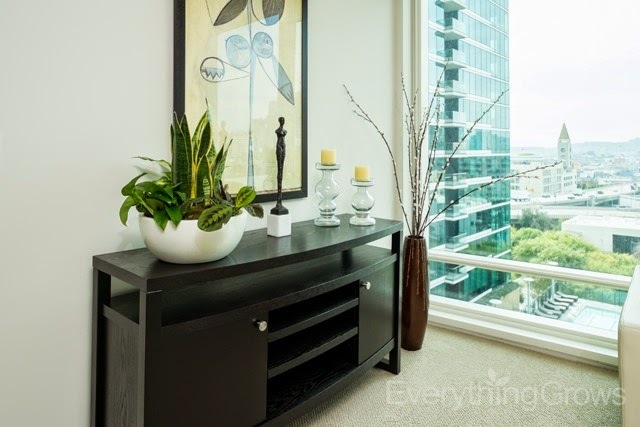 A subtle touch of color brings an inviting warmth to the elegant living areas. 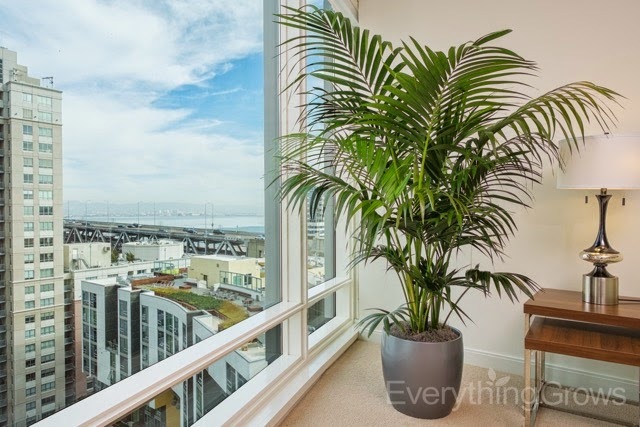 Adding lovely live plants inside compliments the remarkable outside views!